Australian energy company Woodside Energy hopes to strike a gusher in its own backyard -- a gusher of information, that is. 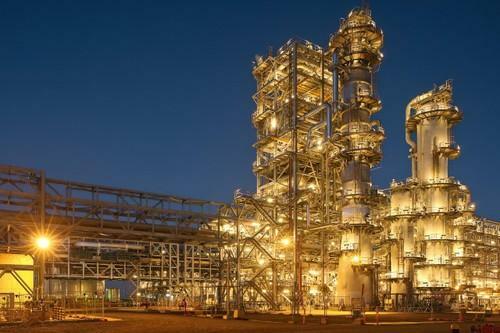 The company plans to improve the efficiency of its refinery plants by using IBM's Watson cognitive computing services to gather and share insights from its own engineers. Woodside "wants to take the knowledge of their senior engineers and make it available, with the support of Watson, to a broader range of employees," said Ed Harbour, IBM vice president of the company's Watson Group. The two companies will partner to create a search engine, or "cognitive advisory service" that can be used by Woodside's engineering teams to ask complex questions about facilities management and design, according to IBM. Energy companies such as Woodside must routinely revamp production facilities to improve their efficiency. For this system, an engineer could ask Watson, for instance, why a pressure gauge reading is not within a standard range of values. Watson can probe its memory banks and return what it considers to be the most relevant set of answers. Over time, it can improve the quality of the answers based on user feedback. The idea behind the service is to gather into a central location all the information engineers have on running Woodside's refineries. The engineers have already digitally documented many aspects of running refineries, which Watson can ingest. Additionally, the two companies will interview senior engineers to collect more institutional information. IBM will also have a panel of Woodside experts review the data, and annotate it with additional contextual information. Watson will use machine learning to identify conflicting sets of information, which then can be resolved by experts. The energy industry has been an early adopter of IBM Watson, which is a set of cognitive computing services that uses advanced machine learning technologies to synthesize disparate sources of knowledge in order to deliver more useful information. The Spanish energy company Repsol has also used Watson to help determine which oil fields are worth further investment. Repsol itself has plenty of know-how on determining how fruitful an oil field may be, so it uses Watson to evaluate the extra-curricular aspects that may hamper drilling, such as the cultural and political climates of the region.